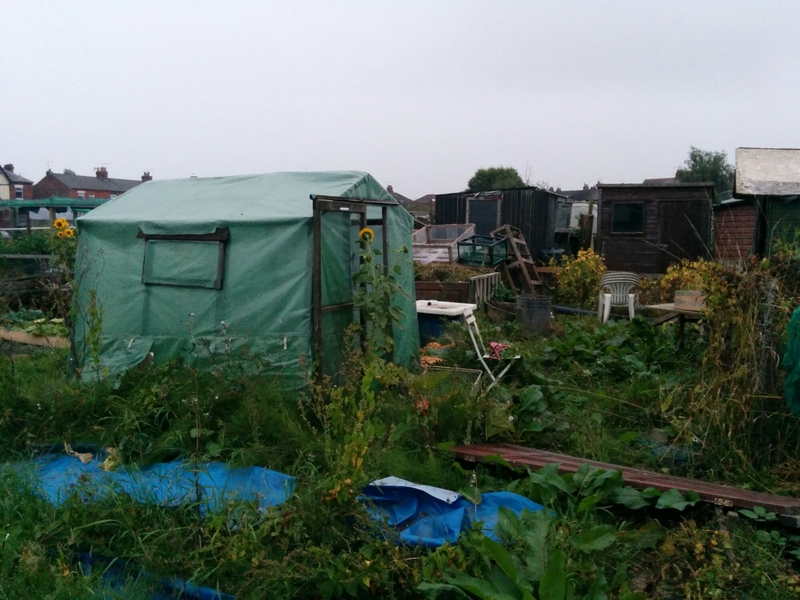 It is almost a year since we took on our second plot and so much has changed! 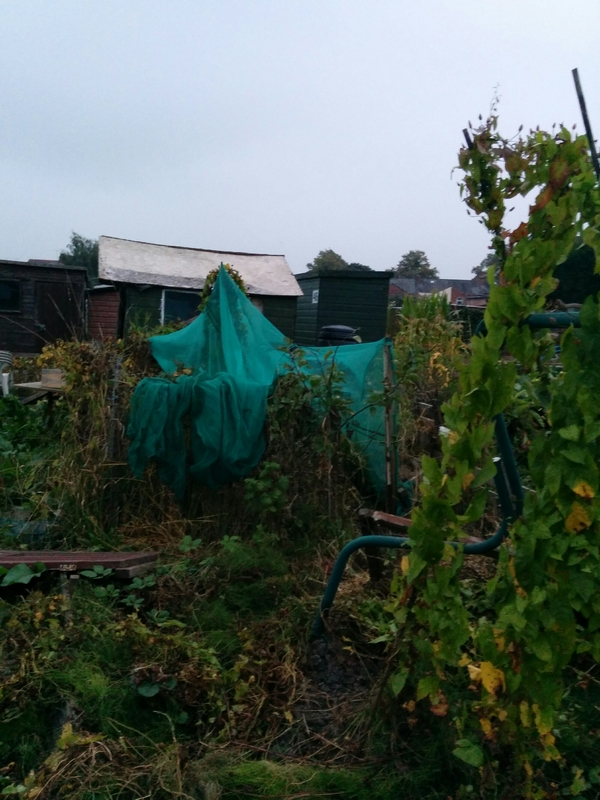 Below are the photos of the plot when we took it over at the end of September 2014 – it wasn’t pretty! 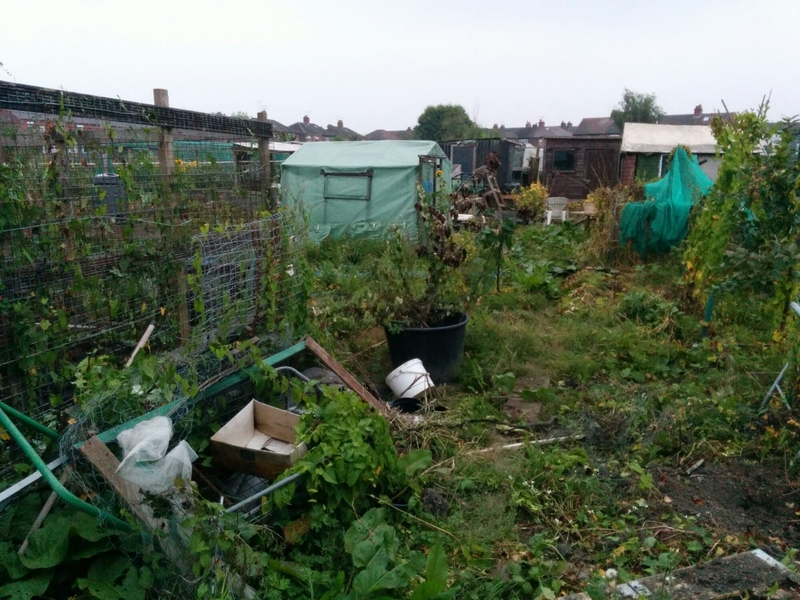 We have removed masses of rubbish from the plot including a gun case, pigeon carriers and three plastic bins of glass in addition to a large, rotting shed and a greenhouse frame with its base. 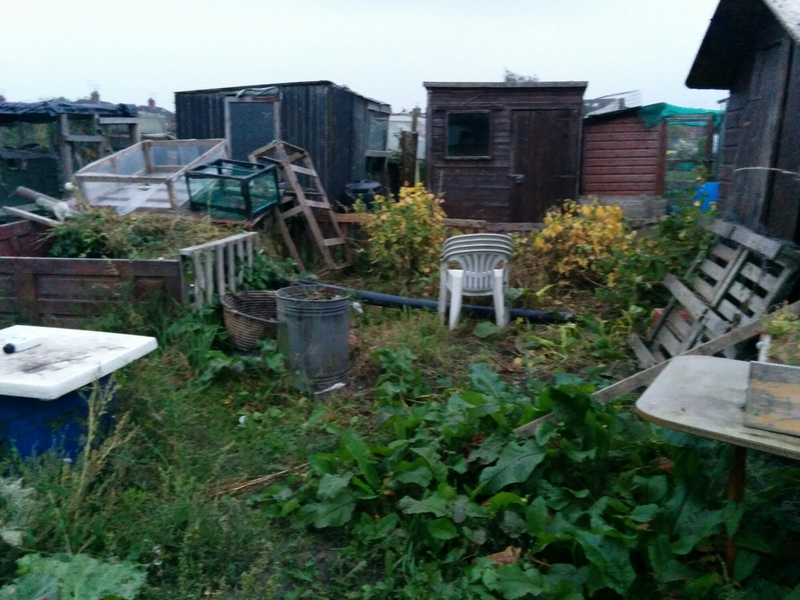 Also, we have extended the chicken coop to double the size and are about to replace the chicken shed with a larger shed to keep them safe and warm throughout the winter months. The location of the new greenhouse has been decided with just the base and reconstruction phase to go. 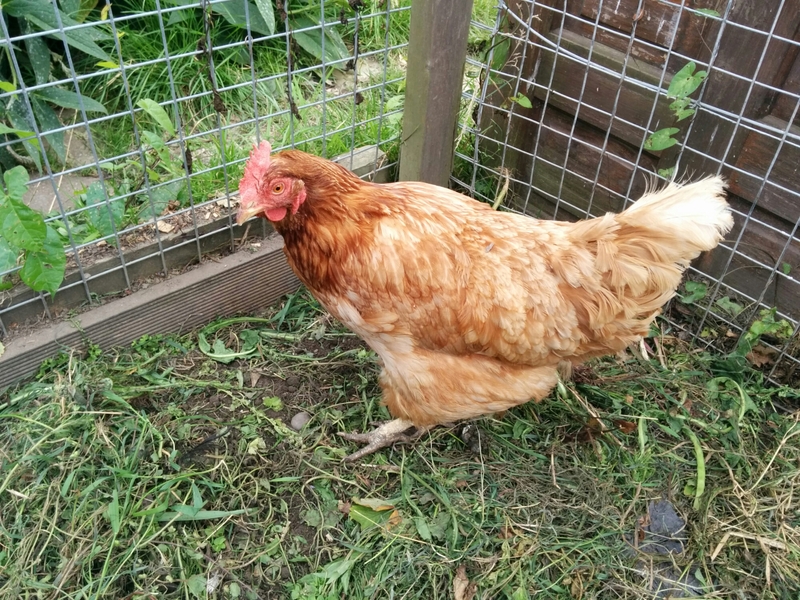 We now own an impressive 12 chickens including 5 Warrens, 2 Novas, 2 Vorwerks, 2 Cream Legbars (on their way to us) and 1 Speckled alongside 4 quails. I considered having a bee hive however, for the moment, this is on hold. 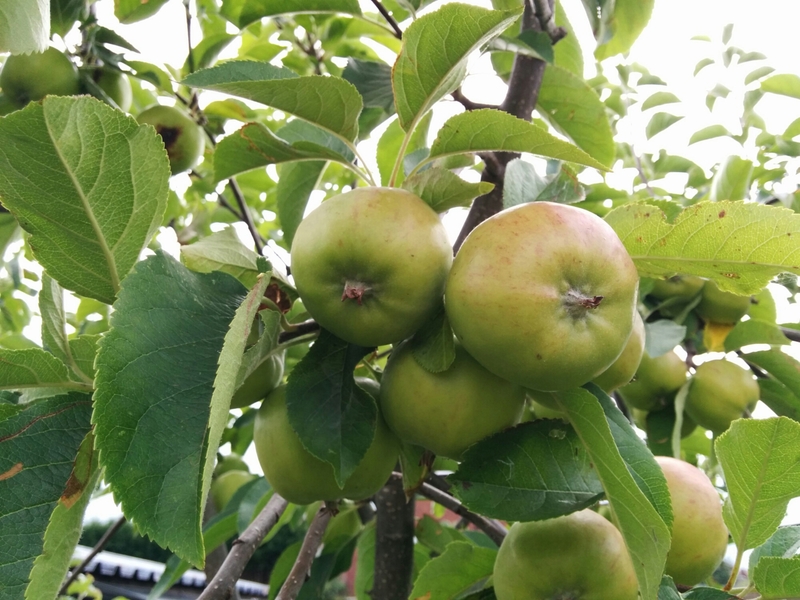 The new trees and fruit bushes are due to arrive in the next 6-8 weeks developing the bottom plot into our fruit section – the plan is that it will contain all our fruit bushes and trees (with the exception of the three fruit trees on our top plot) including specialised exotic fruits in the new greenhouse (passion fruit, pineapple guava and grapes). 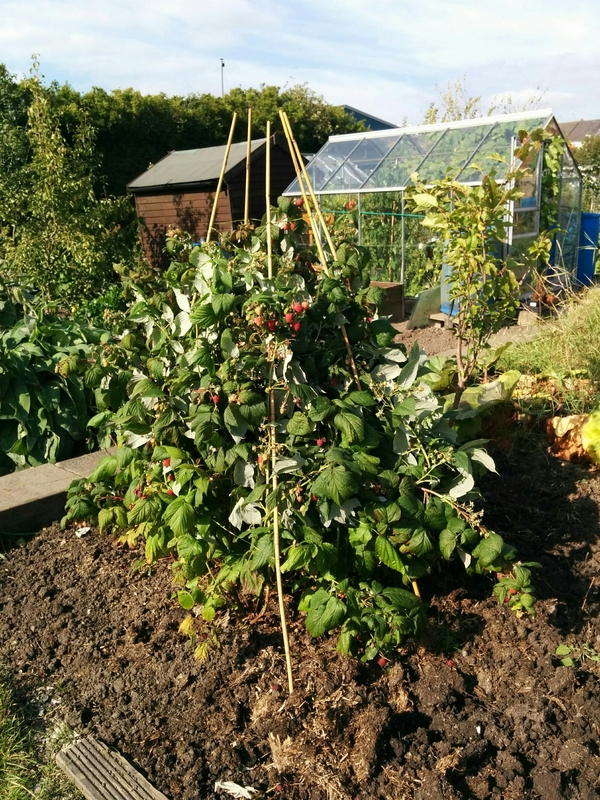 A quick rearrangement of the raspberry bed to allow room for more blackberry bushes, lingonberry bushes and blueberry bushes is the next little project. After this, I plan to design a small herb bed next to the greenhouse, allowing us to grow as many herbs as possible further reducing our shopping costs.